All WHISPERING HILLS homes currently listed for sale in Spring Branch as of 04/18/2019 are shown below. You can change the search criteria at any time by pressing the 'Change Search' button below. "You'll love this stunning 2-story home with an open floor plan. Island kitchen with breakfast bar, granite counter tops, spacious walk-in pantry, ceramic tile floors. Separate formal dining room. And spectacular views of the Texas Hill Country. This spacious home on 2.88 tree covered acres with wrap around front porch to enjoy the tranquility of the hills and sunsets. 2 fully equipped guest houses/apartments. Could also function as a game room. Oversized backyard for entertaining!" "Beautiful 9.55 acres!! Additional 1.5 acres available (11.1 ACRES TOTAL) Home has covered wrap-around front porch. Large family room w/fireplace. Ceramic tiled island & backsplash. French doors from kitchen to covered patio.. Master bath w/double vanity and walk-in closet. Upstairs secondary bedrooms, game room & secondary kitchen for your convenience. One bedroom has balcony overlooking beautiful view. Sparkling in-ground pool w/hot tub. Large shed. 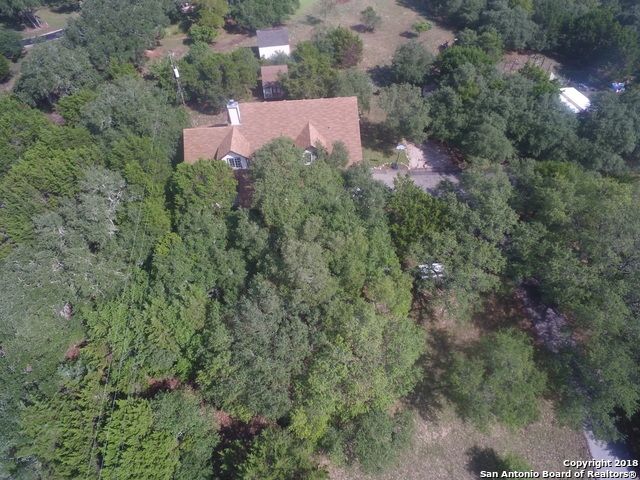 Circular gravel driveway . . Lots of potent"
"Nestled in the serene Neighborhood of Whispering Hills is this charming 3 bedroom 2 bath home with a fantastic view of the HILL COUNTRY. Being close to Smithson Valley High School and Middle school. Perfect location if you have children, but quite enough to make it your retirement home.THIS IS A MUST TO SEE IF YOU ENJOY YOUR PRIVACY Home office or (PRIVATE CASITA) love garden,or love to entertain with friends and family. ..It won't be on market long don't miss out." "King of the hill on private view lot w/plenty of room to roam . 4 bedrooms plus game room with soaring ceilings and open floor plan.Spacious master suite downstairs on level first floor w/ dual closets and separate shower. Stone wall fireplace &wood floors in family room. Spacious kitchen w/ island & easy access to outside is perfect for the entertainers delight. Large game room upstairs & exterior playhouse/workshop (temp controlled) offer space for the kids. Lots of parking & easy access to"